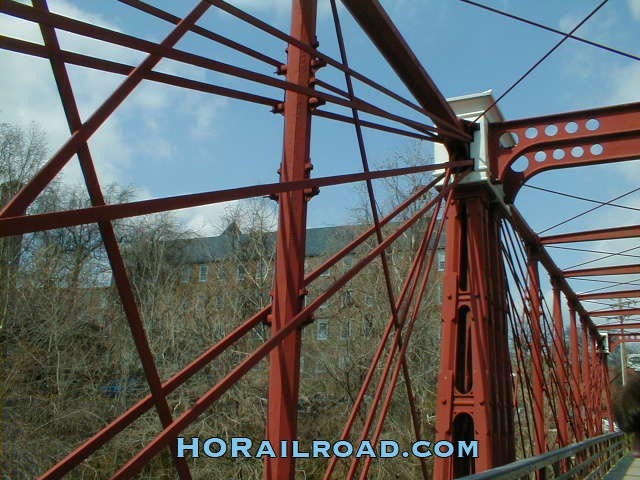 The Bollman Iron Truss Bridge was invented in 1850 by Wendel Bollman, a Baltimore Engineer. 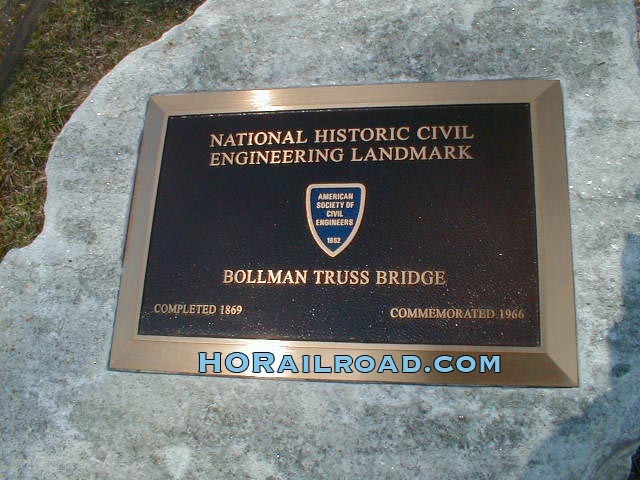 The Bollman Bridging System was the first system entirely of iron. 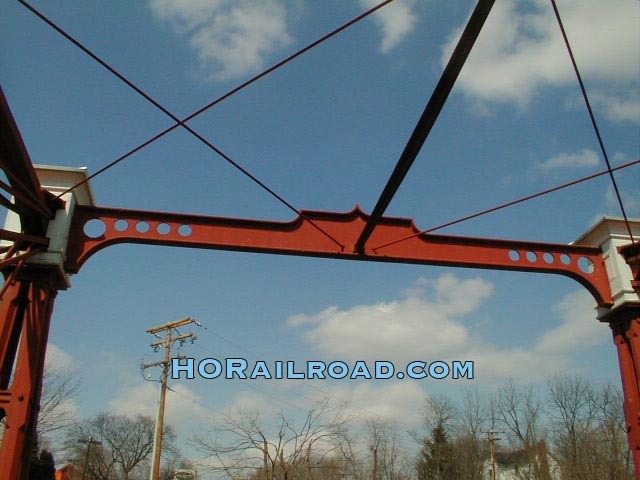 The design was used by the Baltimore and Ohio Railroad and is the first such design used in America. 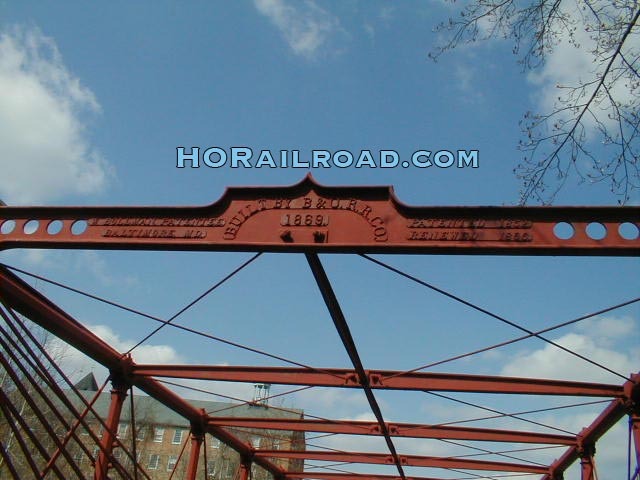 The B&O railroad built about 100 Bollman Iron Truss Bridges from 1850 through 1973. 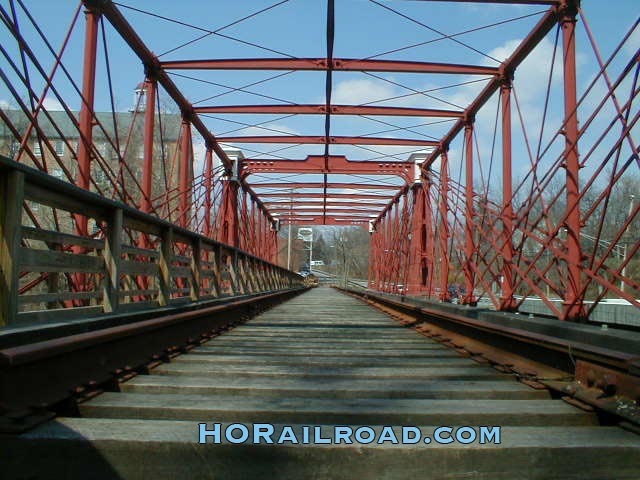 The last surviving example of the Bollman Iron Truss Bridge is in Howard County Maryland. It spans the Little Patuxent river on a lead that once serviced John Savage's mill. 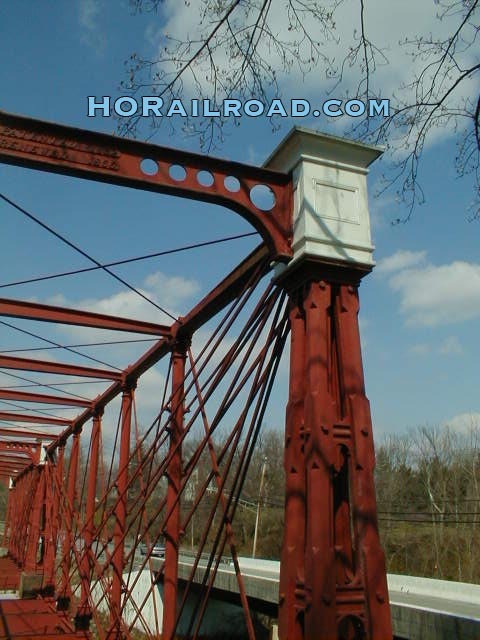 This bridge was not originally built at this location and was relocated here from elsewhere in the B&O system. 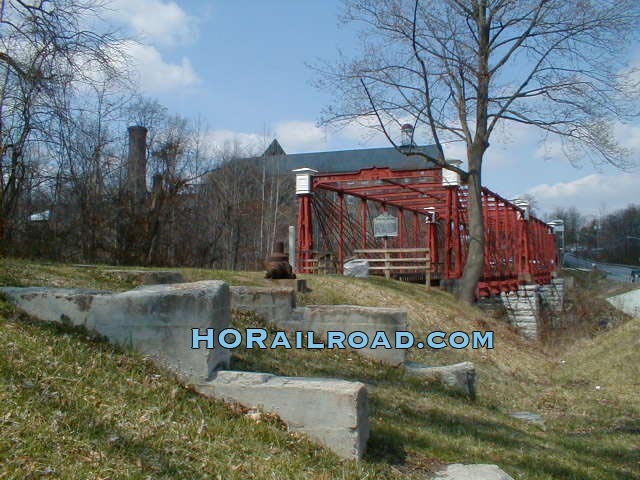 However, the location was served by a Bollman Iron Truss Bridge. An extensive collection of photos is available here for modelers that may wish to build a scale model. 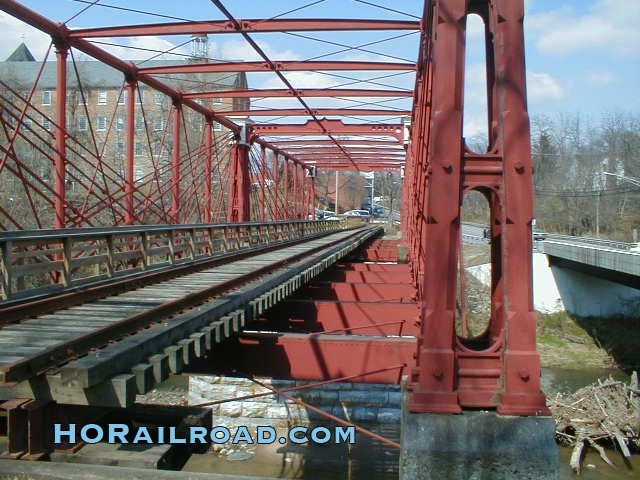 It was rumored that a manufacturer of brass locomotives and railroad structures might build this bridge as a model. However, that has not happened to date. 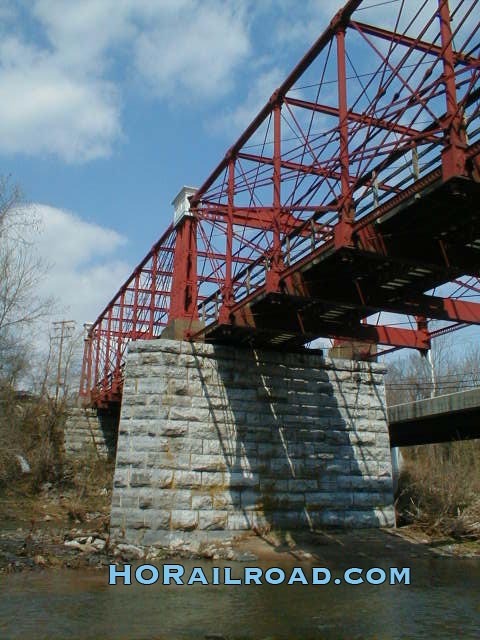 As an 19th century design, the height of the bridge over the rail head would restrict locomotives and rolling stock to that era. Modern equipment would also exceed the weight carrying limits of the structure. So, a truly scale model would limit a model railroad's rolling stock but if you have the inclination to build one, this photo collection should help.